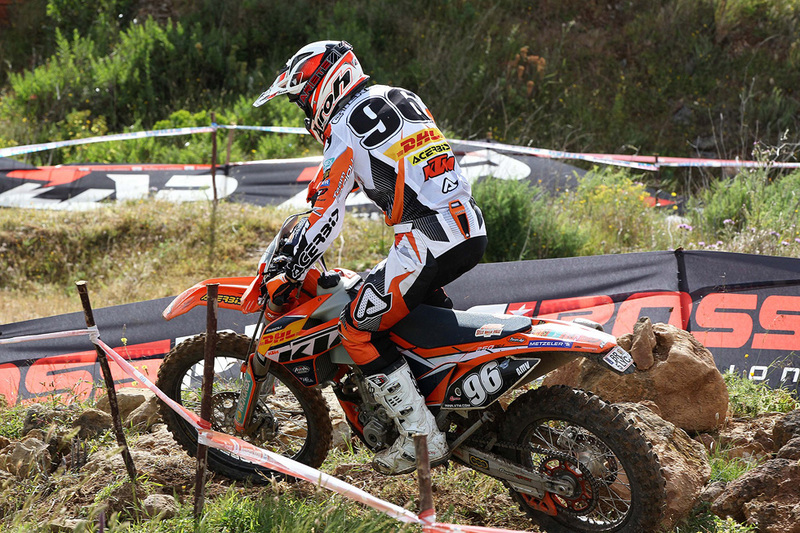 The KTM Enduro Factory Team had a good weekend out at the GP of Portugal in Rounds 7&8 of the competition with both French riders Christophe Nambotin and Antoine Meo picking up double wins in E3 and E1. 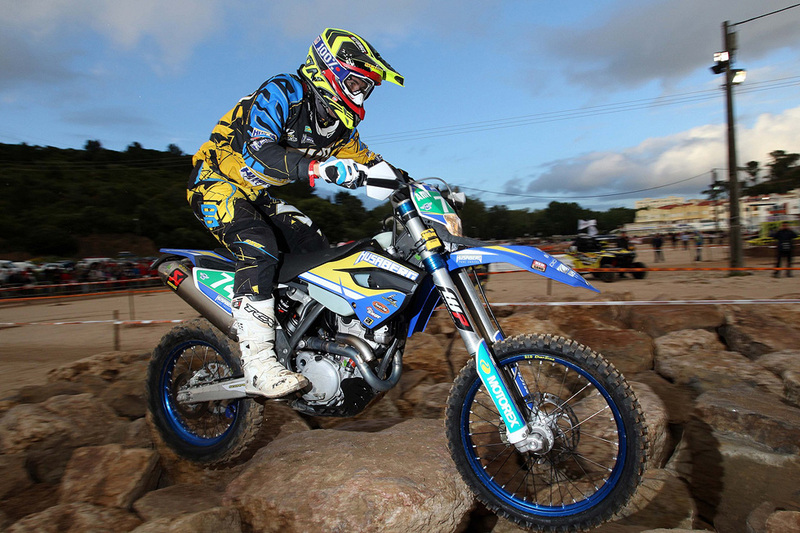 Ivan Cervantes of Spain was also in good form scoring two x second place podiums in E2 and his teammate Johnny Aubert came away with a 3-4 result for the weekend. 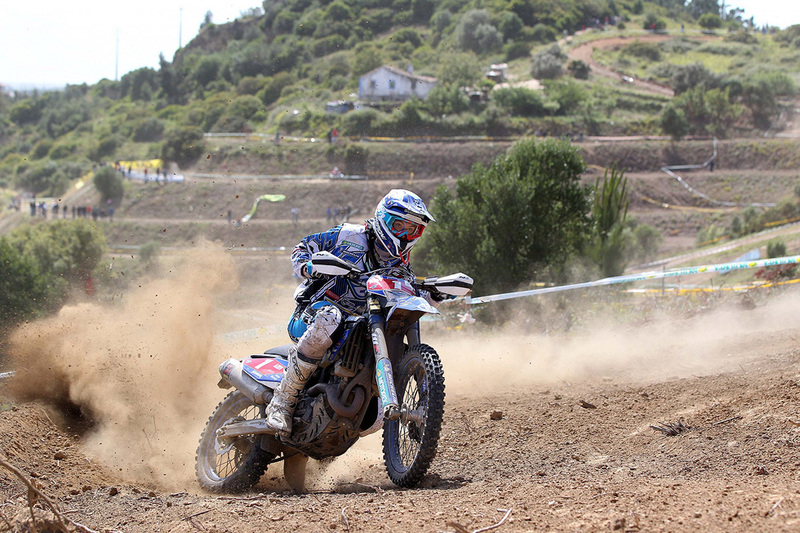 It was a super human effort by Aubert who took a very hard fall on Saturday, badly bruising his ribs and he rode in considerable pain the whole weekend. Cristobal Guerrero, Meo’s teammate in E1 was also unlucky. 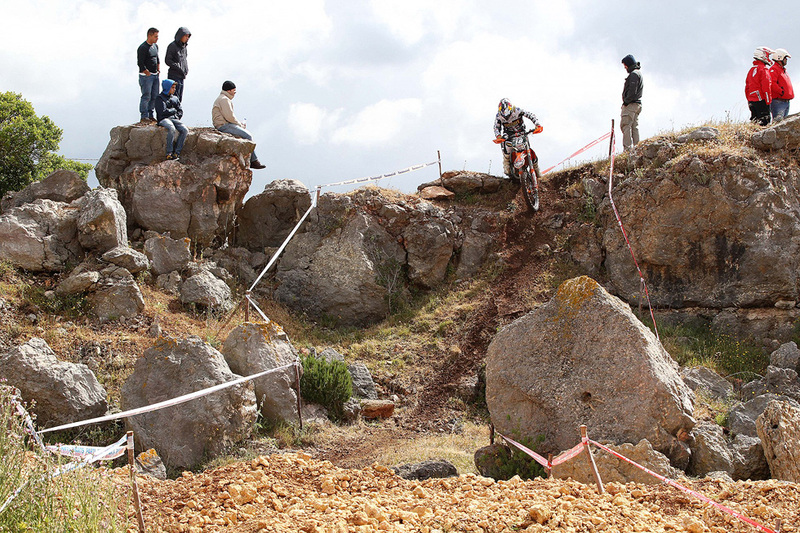 He crashed on Saturday, bumping his old shoulder injury. 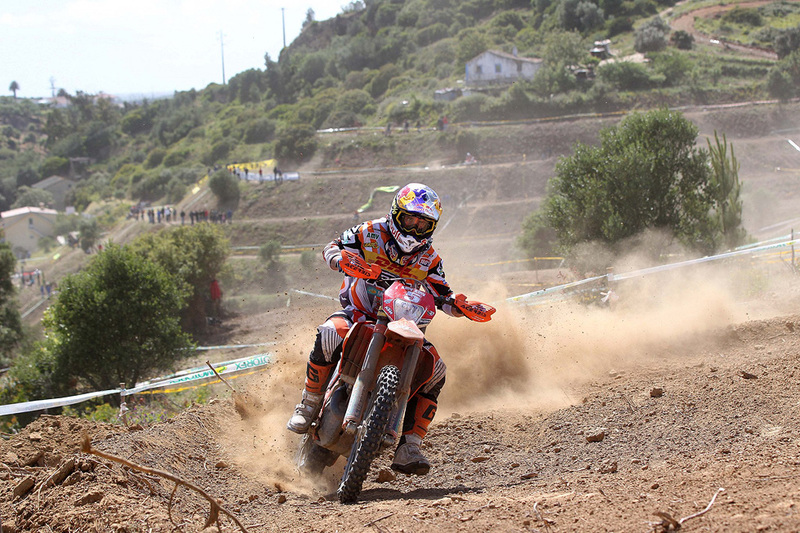 This hampered him but Guerrero still managed to salvage a ninth on Saturday and improved by three places to sixth on Sunday. 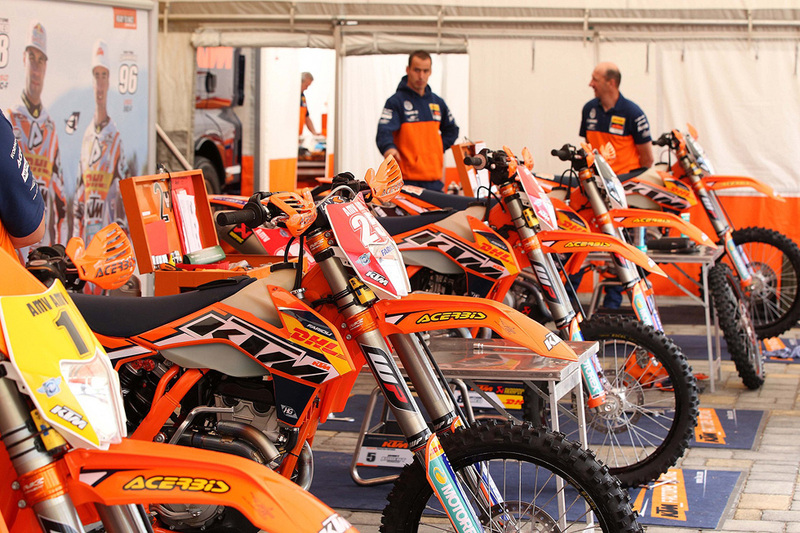 Aubert too, had a very strong finish on Sunday and team boss Fabio Farioli said his fourth place result did not reflect how well he had ridden over the weekend. Riders had uncharacteristically colder weather in Portugal and on Saturday and took time to get into the rhythm of the 70 km loops that keep then on their bikes for up to seven hours. 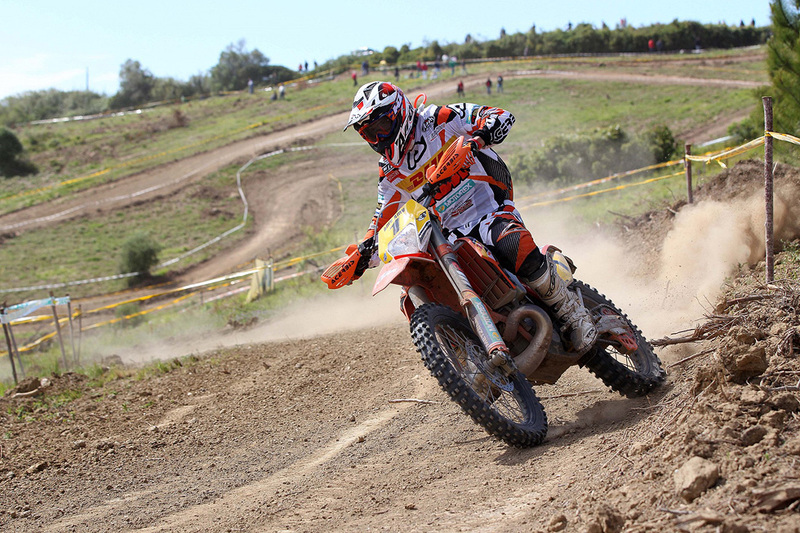 Even the normally dominant Meo and Nambotin, while up with the leaders in Round 7, needed the first tests under their wheels before starting to dominate. 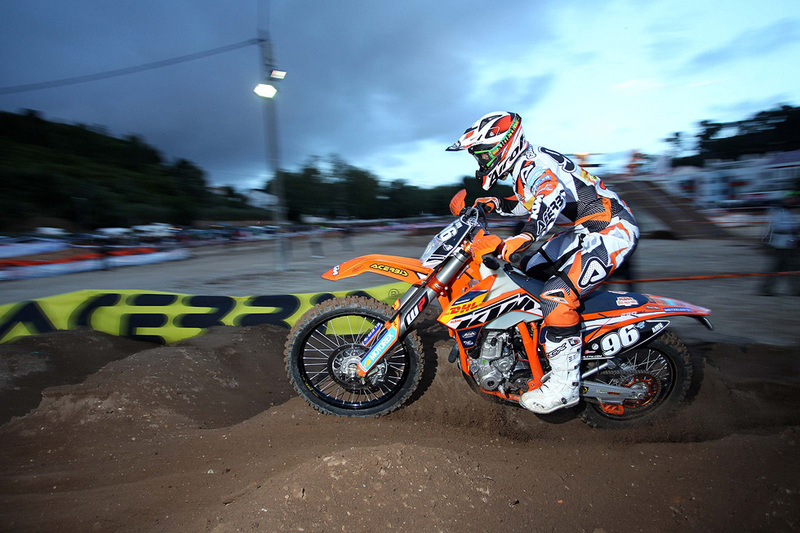 Nambotin won five of the 12 tests including the final four but on Sunday he needed no time to get into the swing. 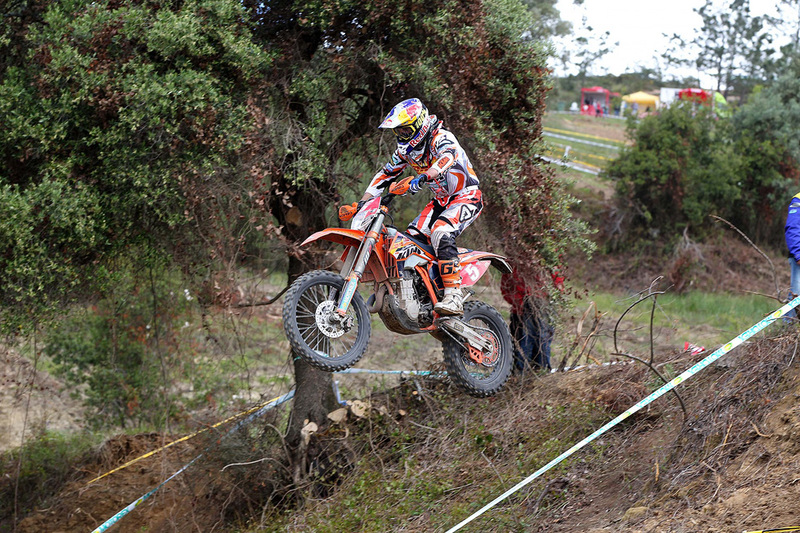 The French rider was on the case from the very first test and was number one in all 12 of Sunday’s Round 8. 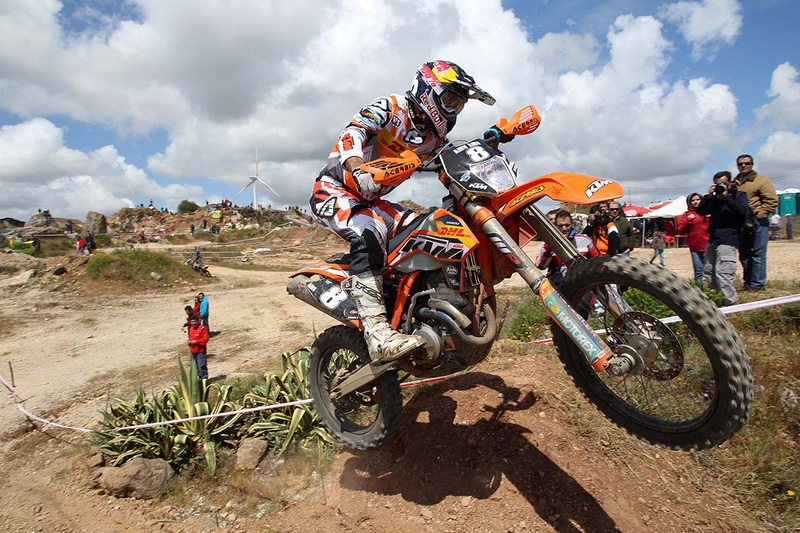 Meo won seven tests in E1 on Saturday and six on Sunday, where his worst finish was a third place in the second cross test of the day. 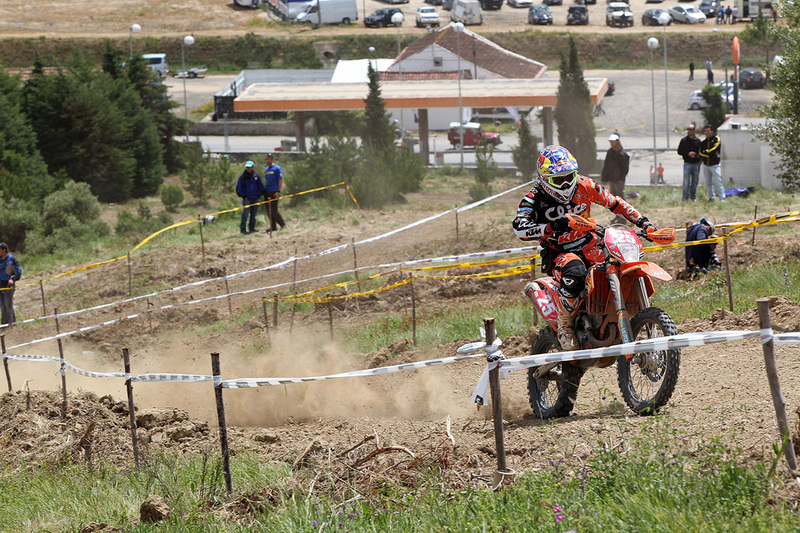 With the exception of a crash in the final cross test on Sunday, Cervantes had a good weekend in the competitive E2 class, even if he had a little more speed on Saturday than the second day. 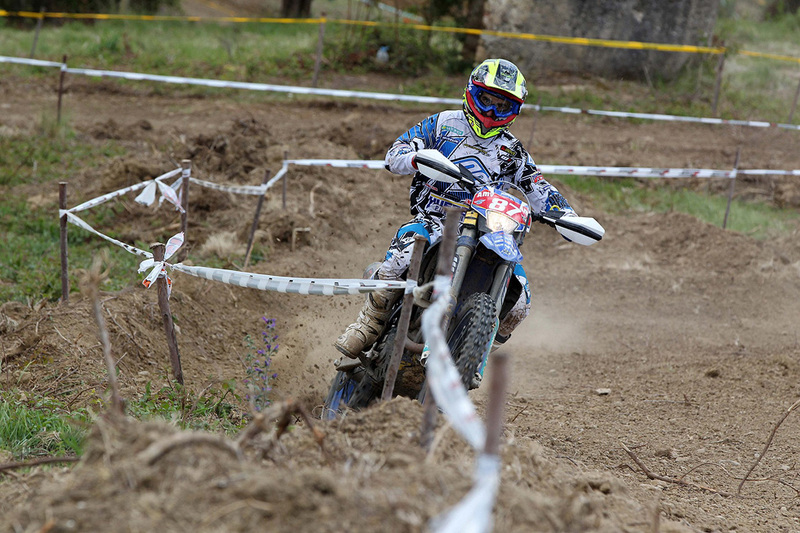 Aubert overcame his discomfort with his bruised ribs on Sunday and finished the day very strongly in the final three tests on Sunday, winning the final Enduro and Cross tests and finishing second in the Extreme. 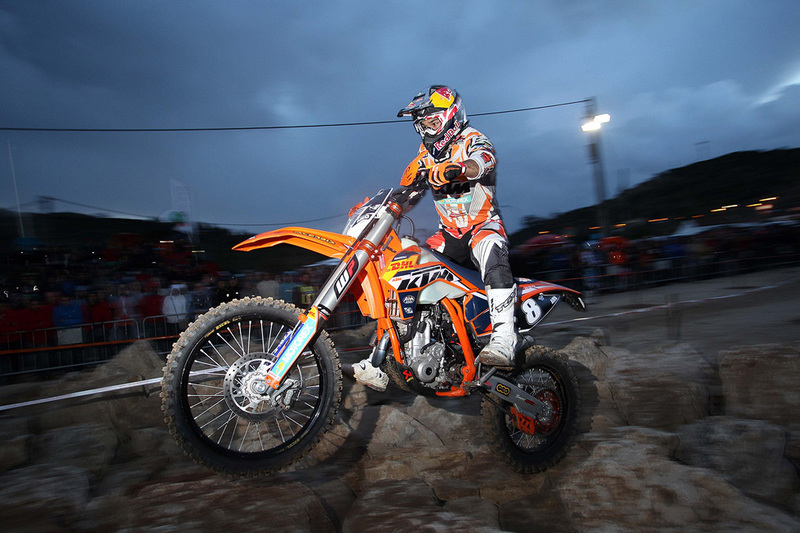 Laia Sanz of Spain, who recently switched to KTM, picked up the win in Sunday’s round of the women’s competition, a remarkable performance after she competed in and won the Women’s EnduroCrosss gold Medal at the X-Games in Barcelona on Saturday evening. 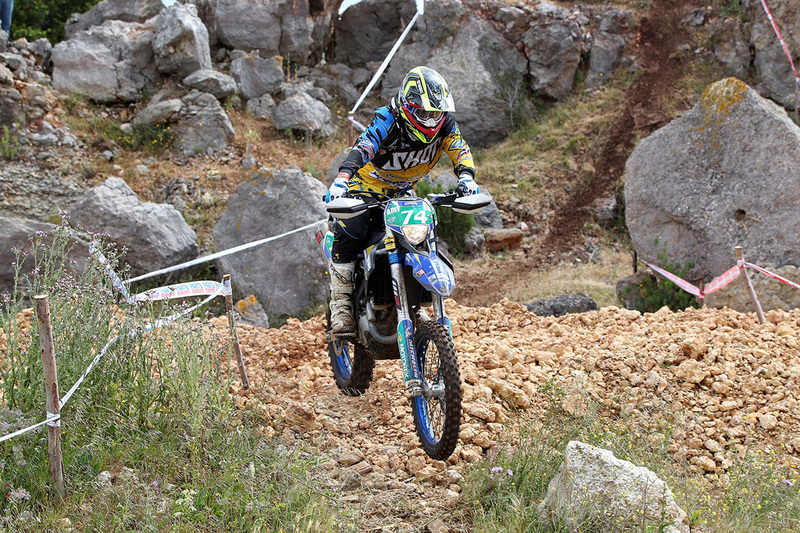 She then immediately flew to Portugal to join the competition on Sunday. 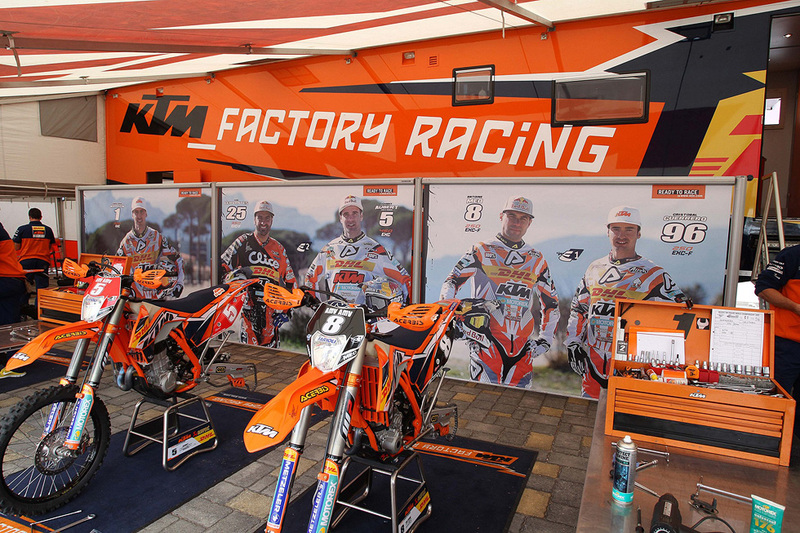 The KTM factory riders will now compete in national competitions until the championship resumes in Greece for the next two rounds on June 15-16. 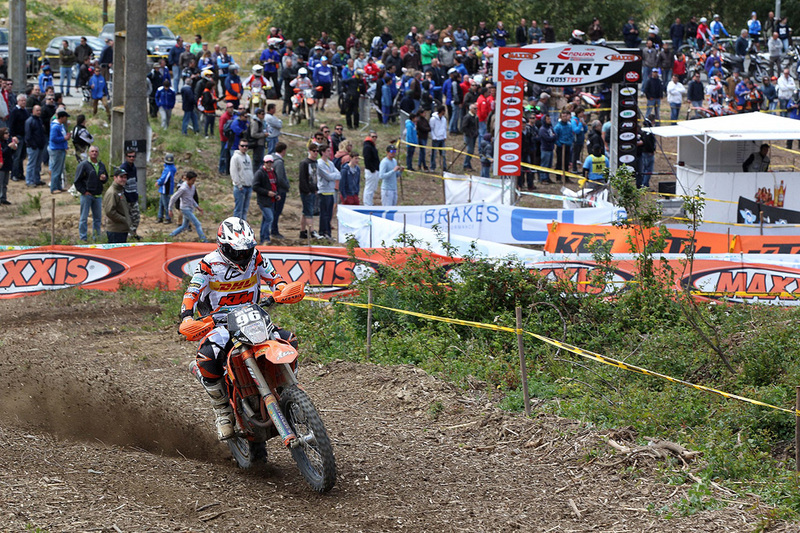 Cervantes however will contest the notorious and very extreme Erzberg Rodeo in Austria on the last weekend in May. The Portugal rounds conclude the four rounds in the Iberian Peninsular, the competition’s first events back in Europe after four opening rounds in South America that launched the 2013 season.